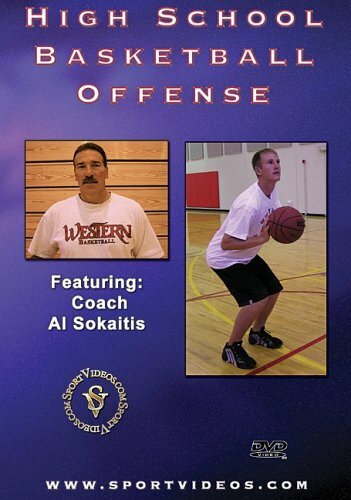 Coach Al Sokaitis provides high school basketball coaches with essential concepts and strategies needed to develop a successful offense. The program emphasizes teaching players how to play within the framework of various offenses. Among the topics covered are: the motion game, the 1-4 alignment, the flex offense, zone offense and the transition game. This comprehensive DVD is a must have resource for high school coaches. 47 minutes. About the Coach: Al Sokaitis has been coaching basketball for over 30 years. He has established records for the most wins at five different schools, and been named Coach of the Year on ten occasions. Sokaitis has lead three different colleges to the NCAA Tournament. Currently, Al Sokaitis is the Head Basketball Coach at Western State College in Gunnison, Colorado.